Understandably, it seems that most of my blog and social media content relates back to babies (or coffee, go figure) just now. To be honest, I bore even myself with it some days. Being a new mum is all-consuming, so naturally it’s going to dictate my life. BUT I also put a lot of importance on my own identity as an individual as well as a mother, and as Kittie turns five months I am certainly keen to start working on that again. 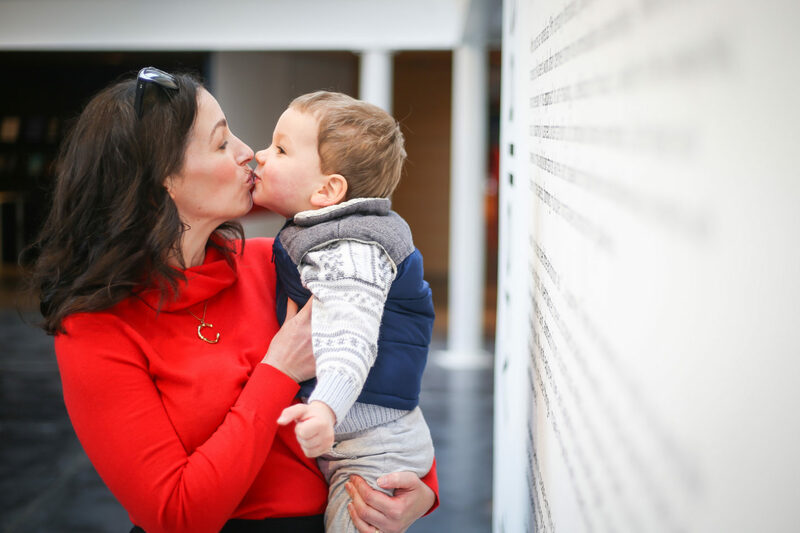 However, feeling ready to take back some of myself isn’t exactly practical – my baby is only just five months old so my brain and body are focused on her and she needs me almost every minute of every day. At this stage, it’s the small things that make the difference – a hot cup of coffee, seeing an entire episode of whatever crap TV I’m watching in one sitting, fresh flowers, a run with the dog, that sort of thing. And, despite being overweight (trying not to beat myself up about it, as I stuff another handful of Malteasers in my mouth), one other seemingly insignificant thing that helps me feel myself is clothes. I adore clothes, particularly pieces that evoke feeling. Clothes that make me feel good inside, and outside. I don’t mean designer, I simply mean well made pieces that ‘spark joy’. I pay little regard to where they are from or how much they cost. I want my clothes to make me feel amazing, to fit seamlessly into my wardrobe – as I’ve grown older (and wiser, ha! ), I’ve realised the importance of hard working, multi tasking clothes that wash well, last well and live well. So yes, that could mean a beautiful leather bag by Mulberry or it could mean a brilliant find in Zara. Or, indeed, a more-than-I’d-usually-pay pair of tailored trousers, like these from Winser London. 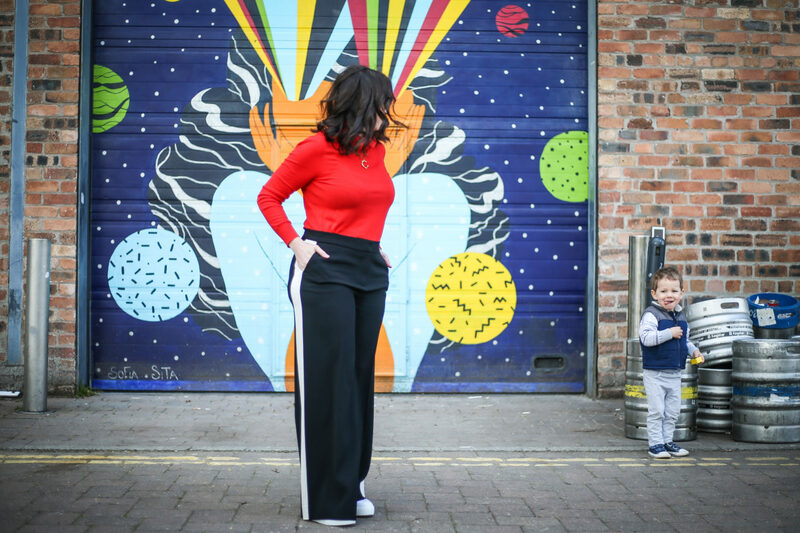 So with all of this in mind (that I am a mother of two tiny humans, that I’m not feeling my most healthy because their needs come before mine, and even that my regular jeans don’t fit), I am super excited to share a style post again and I am even more excited to tell you all about these bloody wonderful trousers. Especially because they received so much love when I shared them on date night. 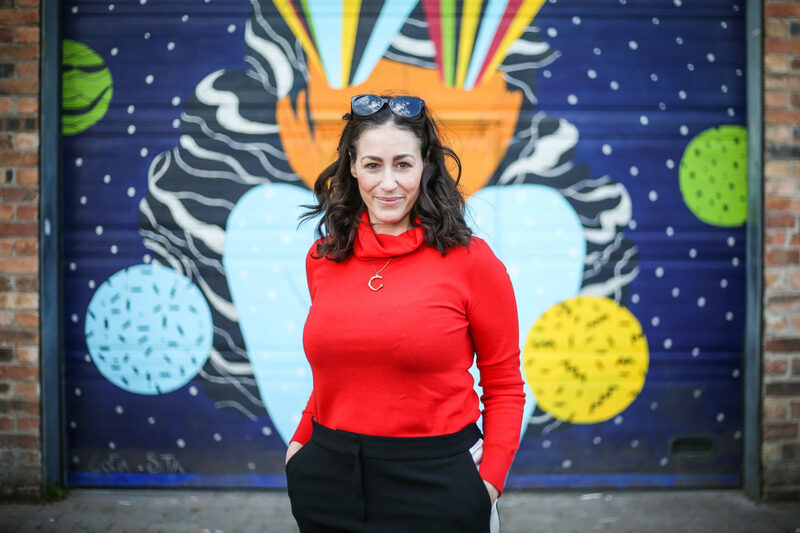 The trousers – named Lauren – along with this super soft, super cosy and super flattering cashmere jumper, were gifted to me by Winser London, a brand that I’ve worked with a lot over the past five years. They design quality clothing while keeping busy, stylish women in mind; masters of creating pieces that will work hard so you don’t have to. It’s the ultimate in capsule wardrobing – the miracle dress that will work for the office and the hot date, the wedding-appropriate suiting that is just as cool for cocktails, that sort of thing. (Seriously, look up the Lauren boyfriend blazer.) In a nutshell, Winser clothes look great at any time, anywhere and are beautifully made, so they’re well worth investing in terms of creating a staple wardrobe and knowing it will last for years. 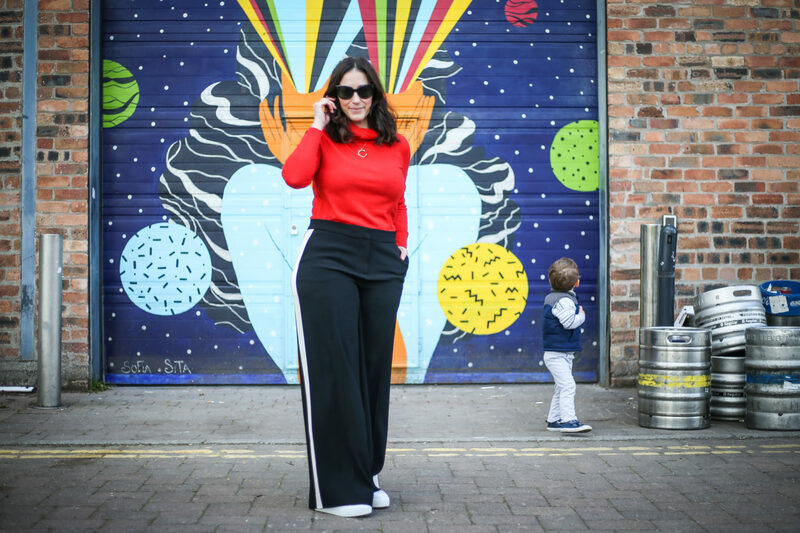 As soon as I saw these trousers I knew I had to have them – as well as being super cool (just ask Trinny about sports-luxe trousers), they are totally timeless, meaning they will last beyond one season. And, because of the beautiful fabric and the excellent design, cut and finish, they are very much worth investing in, guaranteed to become a go-to piece in your wardrobe whether you wear them with flatform trainers or killer heels. Ladies, I feel a million dollars in them. 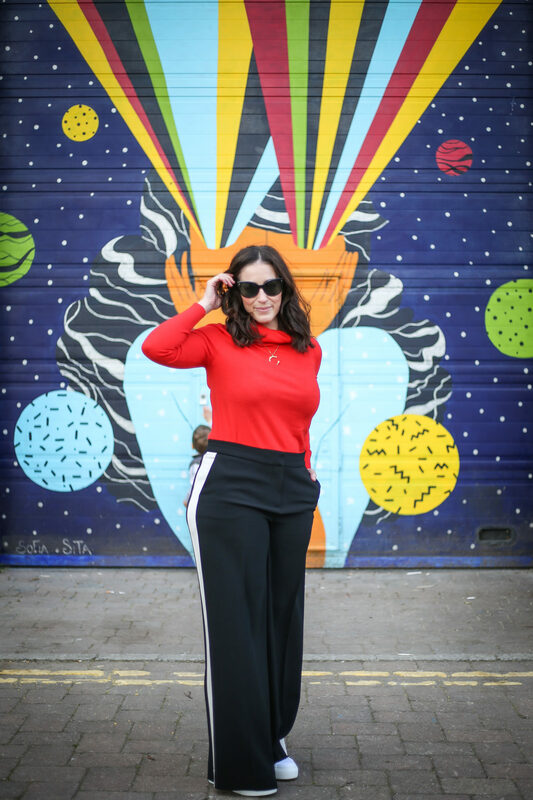 And right now, that’s saying a lot because I have a long way to go before I am feeling 100% ‘me’ again – but these trousers (and this jumper) remind me who I am, that I enjoy getting dressed, that in time I will get my groove back. They have created a feeling within, lifting my confidence when it’s been at its lowest – and that’s worth more than what’s on the price tag. I’m wearing: roll neck jumper and trousers, Winser London; trainers, Superga; sunglasses, IOLLA; necklace, Nell & Digby. Psst… TREAT19 provides £25 off when you spend £150 or more online at Winser. I’ve listed the other Winser outfits that I’ve worn at the bottom of this post. Winser London red miracle dress. Winser London blue miracle dress. All Winser London items have been gifted.